Spieth drive in pallet racks are a cost-effective solution to high-density storage. This static system has rails running the depth of the rack for pallet placement. 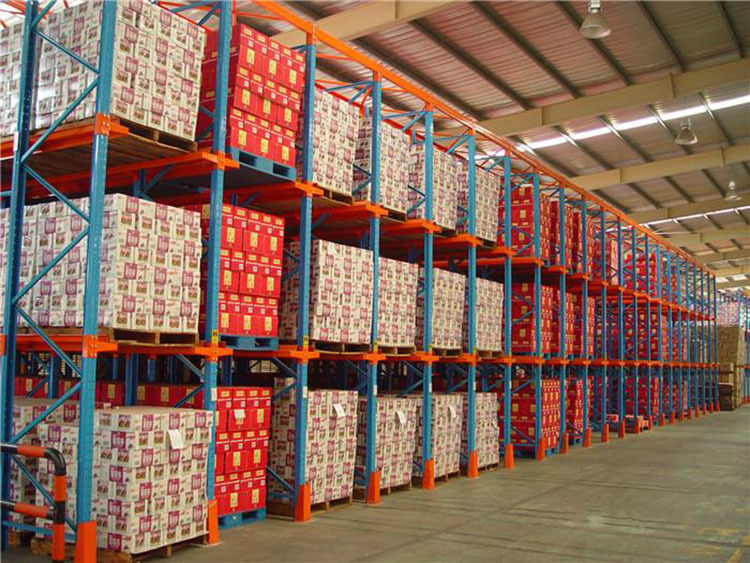 The only limitation to the depth of pallet storage is the capability to drive deep within the system. 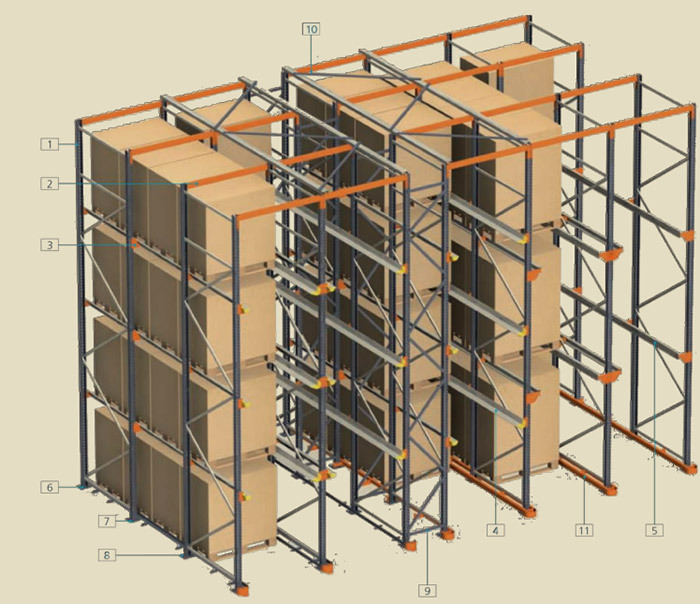 The rack depth reduces the need for aisles and drastically increases cubed space utilization. 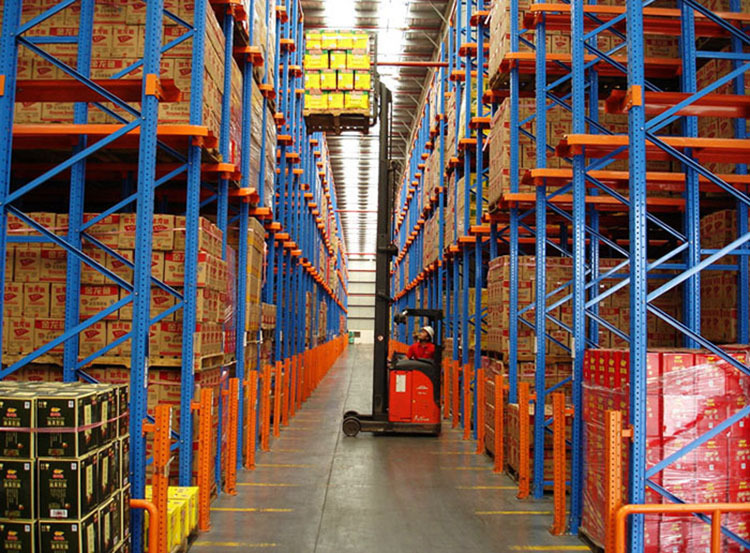 This type of installation is made up of a set of racking units that form inner loading aisles,with support rails for the pallets.The forklift trucks enter these inner aisles with their load held higher than the level at which it is to be deposited. 1).The cargo storage channel is also a storage and transportation channel for forklifts. It is a type of rack with a high storage density. 2).Often used for cargo storage where the variety is small but the batch is large and the cargo picking requirements are not high.